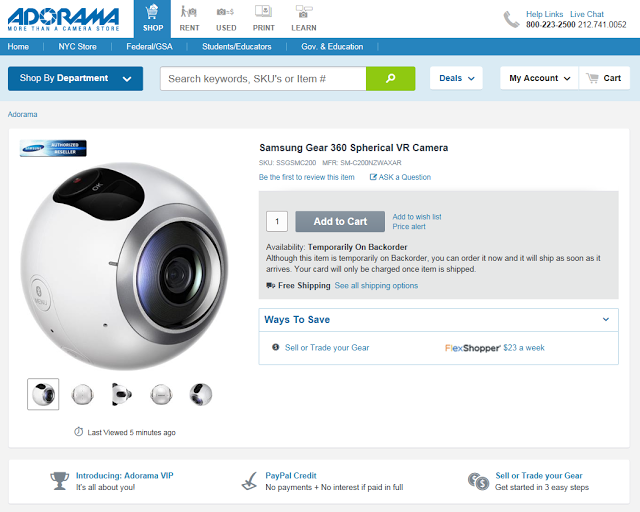 Adorama had been the only US retailer allowing preorders for the highly-anticipated Samsung Gear 360. Now, the option to preorder it has disappeared from their site. Instead, Adorama will only allow preorders in-store. For related posts on the Samsung Gear 360, click here or on one of the labels/tags below the sharing buttons.